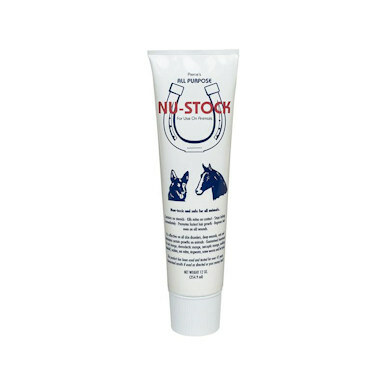 Nu-Stock Ointment has proven to be effective for fast relief of red mange on dogs. Demodex and Saracoptic Mange, Hotspots, Screw Worm and Ring Worm. It eliminates certain types of growths on animals and is Effective for Ear Mites. Contains special mixed oils, Sulfur and natural resins. Is safe for use on horses and cattle. Mix well before using. Note: Do not use on dogs under 12 weeks of age. Consult vet before using on debilitated, aged, medicated, pregnant or nursing animals.